Photolucida's Critical Mass has established itself as one of the foremost photo competitions, drawing applicants world wide for the multi-round event culminating in photobooks for the top two or three winners. Since 2005, Photolucida has produced 11 gorgeous books for emerging photographers with two more to be released this spring. 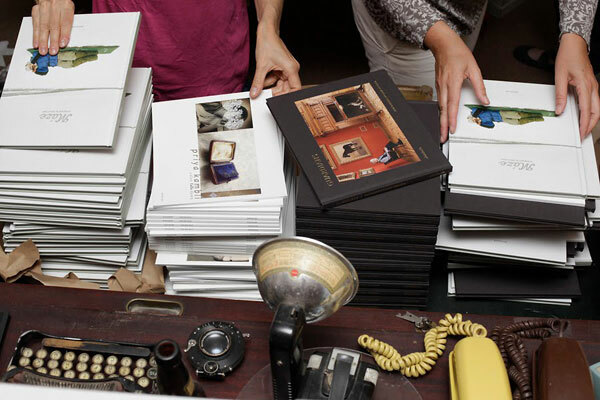 The 2010 book award winners are in the process of being selected from the following six photographers: Christopher Capozziello, Natan Dvir, Justine Reyes, Jeff Rich, Pavel Maria Smejkal and Jamey Stillings. photo-eye was fortunate enough to catch Photolucida's executive director Laura Moya at a lull between Critical Mass jurying cycles and ask a few questions about the competition, jurying process and how the Critical Mass books come to be. photo-eye: How did Photolucida come about? Laura Moya: Photolucida is a bit over 10 years old - it started out as PhotoAmericas. A group of Portland photography people thought it a great idea to start a Reviews Festival in the Northwest. Critical Mass was added to the programming in 2004, and subsequently, the book publishing. PE: Photolucida's Critical Mass is an annual international competition where a multi staged juried process culminates into 2 or 3 photographers walking away with a book of their work. How did Photolucida come to the decision that a photobook would be the end result of the annual competition? LM: For photographers, to have a book published is an event that adds validity to one's career. If a publisher or organization believes enough in someone's work to publish it, this is a great affirmation! It is something tangible that a photographer can hand to someone in varying contexts, which is a great career boost. On the flip side, Photolucida can also send books to all the jurors who gave us their time as a way to say - "Thanks for your work jurying - see, you helped make this book possible for this person!" And subsequently, the fact that we put the book on the desk of the 200 jurors is great marketing for the book award winner. PE: There are several stages leading up to the winners of Critical Mass -- it is almost like a track and field competition where if you can make it to the next stage, you have a little time to breath before the next race. How did you come to the decision to announce initially the top 175 finalists, then the top 50 finalists, then the six book award finalists and so on? LM: Yes, there are two different "heats" - and they are all determined by our programming. Jurors assign scores to each portfolio of work and our programming gives us the average of each one, and that is how we determine the 175 mark and the 50 mark. The book award finalists are not automatically the top scorers. We pull the 5 or so people from say, the top 20. Some people at the top of the list might have a book out already, or be in the process of doing a book with a publisher, or for whatever reason, not be ready for a book. Lots of people have a strong body of work with the 10 images they have submitted, and a high score for that, but that does not necessarily make for a cohesive book. That is why we solicit proposals from a large handful of people - we want people to show us how they are ready for a book, and their vision of what they would like their book to be. So the first two stages are strictly based on numerical averages, and the last stage is determined by the board soliciting book proposals. PE: The announcement of the top 50 finalists is highly anticipated. I feel like the top 50 finalists have all won this prestigious competition. It is a great way for a large number of photographers to be thrust onto the international scene. LM: Of course they are all "winners." We really try to emphasize that Critical Mass is primarily about exposure, not just about the book award. Primarily we are trying to produce a program that will put the work of photographers into the hands of people who actually use photography in their programming. We send all the jurors a CD of the 175 entrants, so they will have a record of everyone's work in case they need a reference down the line, or want to pass the CD on to a colleague who is looking for something specific. We also send the "all entrant" CD out to all photographers who entered as a record of the event, so they can see who their peers are and what they are doing. We also have had photography professors who ask us to send them the CD and they use it as a teaching tool, and have given the CD to galleries that are trying to source work for a show. It is a nifty thing. 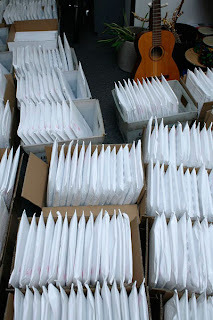 Some other community-building things we do with Critical Mass: as mentioned earlier, we send copies of the books, once published, to all the jurors who completed their voting. We send the books to all the photographers who entered their work, as well. 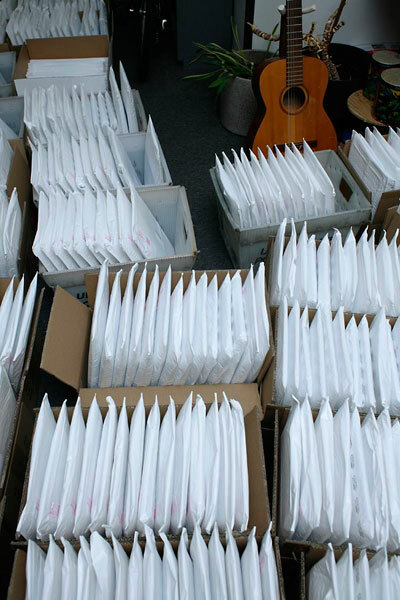 So, with our last batch of 3 books, we sent out about 2,200 books out to people in 20 countries. We also give "scholarships" to a large handful of foreign photographers - people who might not be able to afford the entry fee and who are doing interesting work. We rely on our own research and the suggestions from curators from the countries. 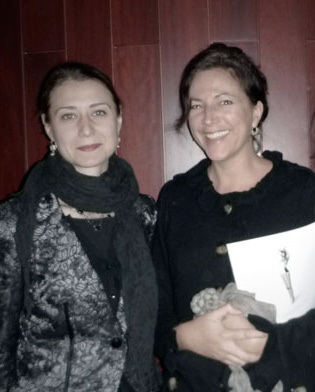 To date we have given "scholarships" to photographers from Poland, Mexico, Italy, and the Netherlands. We also donate copies of all the Critical Mass books to over 30 Oregon public, university, community college and art school libraries. This year we also awarded gratis spots to five CM finalist photographers to our Portfolio Reviews event - so, we are glad to be extending "scholarships" in this way. PE: There are at least 200 jurors looking at the selected 175 finalists' work. That is such an incredible amount of exposure for these photographers. I can only imagine that this competition leads to other opportunities for those who do not make it to the final 2 or 3 who publish a photobook. Are there any success stories that come to mind for those that did not make it all the way to the publication of a book? LM: There are dozens of success stories - we have a page for these on our website, as well as listing them often in our blog. One note that sticks in my memory is from a few years ago, creatively written by Camille Seaman, memorable because illustrates the domino effect that Critical Mass sometimes starts. Another fun thing to track is the names of photographers who entered Critical Mass in the early days, and think about where they are now, career-wise: Chris Jordan, Julie Blackmon, Doug DuBois, Michal Chelbin, Maggie Taylor, David Maisel. PE: How are the jurors selected for Critical Mass? Do you approach jurors who are interested in the end result being a photobook, or are you looking for a well-rounded jury committee that operates in many different facets of the photo world? LM: We look for jurors that come from all facets of the photo world, with different photographic aesthetics. Ultimately we want the majority to be people who can offer tangible opportunities, but at the same time we respect the opinion of writers and academics in the field, as well. We bring new people onto the list by doing our own research, and also asking for suggestions from both professional peers and photographers. PE: Once the final few have been picked to work on publishing a photobook, how does the process evolve from there? How involved are the photographers with the publication of their book? Do the individual photographers help with the design, editing and sequencing of their book? LM: In the past, photographers have been totally involved in the making of their books. We offer design service, or one can choose to work with one's own. Most award winners have had a very acute sense of how they want their work sequenced, and have picked who they have wanted to write their introductions. The photographer has choice on the details of the book: font, cover and paper finish, endpaper color, etc. We have tried to keep the general aesthetic for all the books as congruent as possible, but simultaneously respected the creative wishes of the photographers, too. PE: This year Photolucida is partnering with Newspace Center for Photography, The Photo Center Northwest and RayKo Photo Center to exhibit the top 50 finalists in an exhibition around the Portland, Oregon area. The exhibition also revolves around Photolucida's reviews held every other year in April. How did these additional awards and benefits for the Critical Mass competition come about? working with other photography organizations with similar missions is very rewarding! 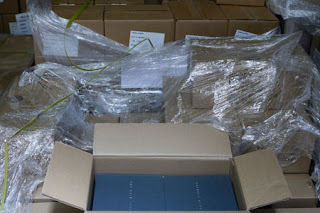 On that note, we are co-publishing one of our Critical Mass 2009 books (Alejandro Cartagena's Suburbia Mexicana) with the new imprint Daylight Books - it has been nice to combine resources and talents with them to make it happen. Alejandro's book and Birthe Pointek's The Idea of North should be available in February. PE: How did you get involved with Photolucida? LM: I was in the photography world many years ago, and then switched over to film. I worked for the Sundance Institute on a program for documentary filmmakers, and for the Northwest Film Center as their PR director. I then produced film pieces for a creative services agency, for commercial clients and museums. Then I was asked to come back over to the photography world - the skill set was easily transferable! I have been the director here over four years. PE: What is your personal involvement in the Critical Mass competition as well as the Photolucida Review? LM: I jury the work entered in Critical Mass, and act as a support person to Tricia Hoffman, our Programs Manager, who is currently running Critical Mass. We work with our programmer closely each year, trying to improve the experience more each time for both photographers and jurors. I organize the Reviews event, as well as project-manage the publishing projects. PE: What is your favorite part of the process working as Executive Director of Photolucida? LM: Foremost, bringing deserved exposure to the work of photographers! Photographers are generally a group of really good people working very hard at their craft and making a lot of sacrifices to be artists. It is a medium I truly love and I never tire of seeing how "emerging" photographers are using it. Critical Mass, the book publishing, and the Reviews event are all great conduits for this. One would guess that the completion of a book or a successful Reviews event ending makes me happy - so much work goes into each thing on the part of so many people, and I am grateful to be a conduit. On a personal level, I enjoy being asked to write or curate little projects - I have written interview pieces for the Griffin Museum of Photography's Critic's Pick (Chris McCaw) and for Finite Foto (Lisa Law and Taj Forer). I am about to jury an exhibit of alt-process work for 23 Sandy Gallery titled photo-alchemy. 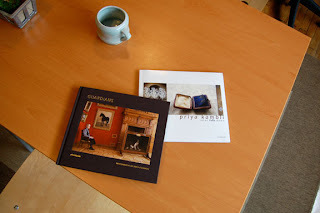 Travel is a huge perk for me - in the last year I have gone to China as a curator (Desiree Edkins, Lori Vrba) and recently returned from Paris where I was invited to review at Lensculture/Fotofest. PE: It seems like Portland will be overwhelmed with exhibitions as well as photographers descending upon the city this coming April! How do prepare for such an event? LM: Yes, we will have a full-fledged "Portland Photo Month" happening with over 25 galleries showing photography in April. Plus collaborative events with PADA (Portland Art Dealer's Association) and the Portland Art Museum's Photo Council. How do we prepare for such an event? Lots of excel spreadsheets, a helpful board, a small army of volunteers, and good coffee! View the Photolucida books here.